The clothes were piled up in heaps and taken away by German military trucks. 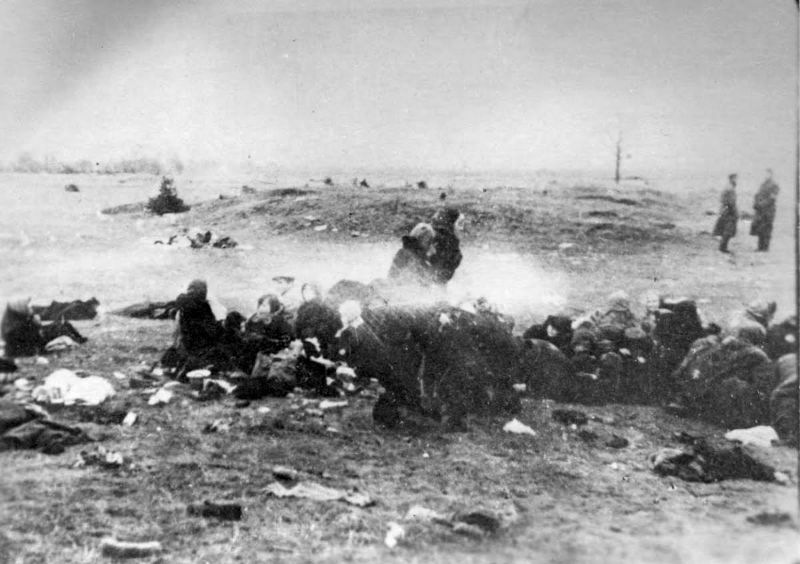 During the murder operation, Carl Strott and another officer, Erich Handke, took pictures with a Minox, and senior Wehrmacht and navy officers visited the site. These photos were found by a Jewish man named David Zivcon, who worked as an electrician at the SD headquarters in Liepaja. A few weeks or months after the execution, he was sent to fix something at Strott’s residence, and notices four negative reels in a partially open drawer. He took them, made copies with the help of a friend, and smuggled them back to the apartment after making up an electricity problem. He put the copies in a box and buried them in a stable. After liberation, he took the photos and handed them to Soviet Intelligence officers. The photos were eventually presented as evidences at the Nuremberg trials. These women had been forced to disrobe and then pose for the camera, December 15, 1941. Scholarly work has led to the identification of some of the women shown. 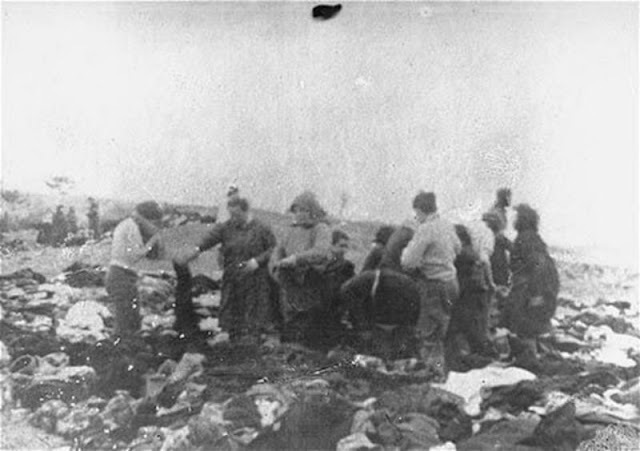 From left to right: (1) Sorella Epstein; (2) believed to be Rosa Epstein, mother of Sorella; (3) unknown; (4) Mia Epstein; (5) unknown. Alternatively, (2) may be Paula Goldman, and Mia Epstein may be (5) instead of (4). Jewish women about to be shot by Nazis, on the beach at Libau, Latvia. 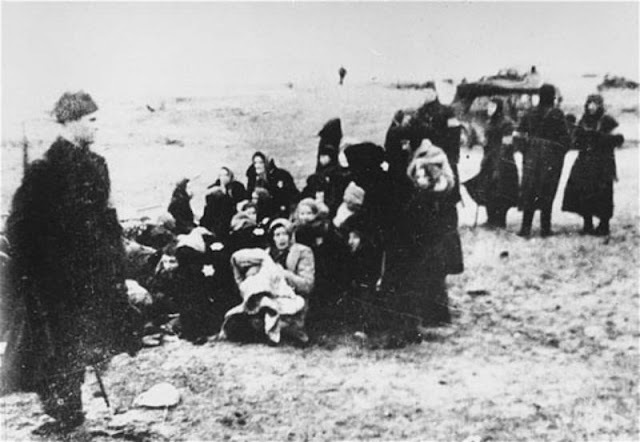 Members of a Latvian militia unit assemble a group of Jewish women for murder on a beach near Liepāja, December 15, 1941. Women and children forced to undress prior to shooting in Libau, Latvia. A group of Jewish women huddled together, waiting to be shot on the beach. 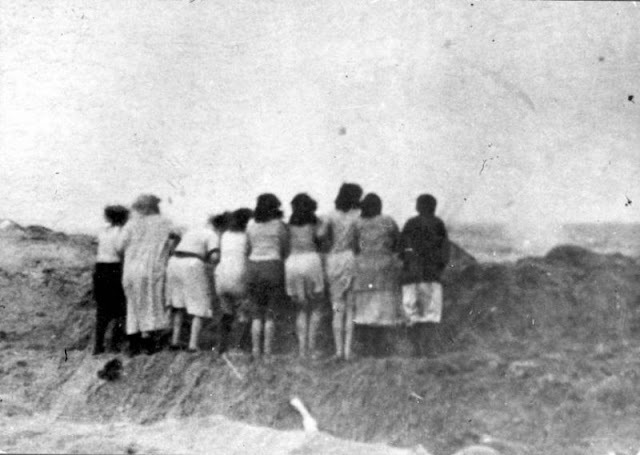 Jewish women and children from Liepaja stand on the edge of a pit before being murdered, December 15, 1941. 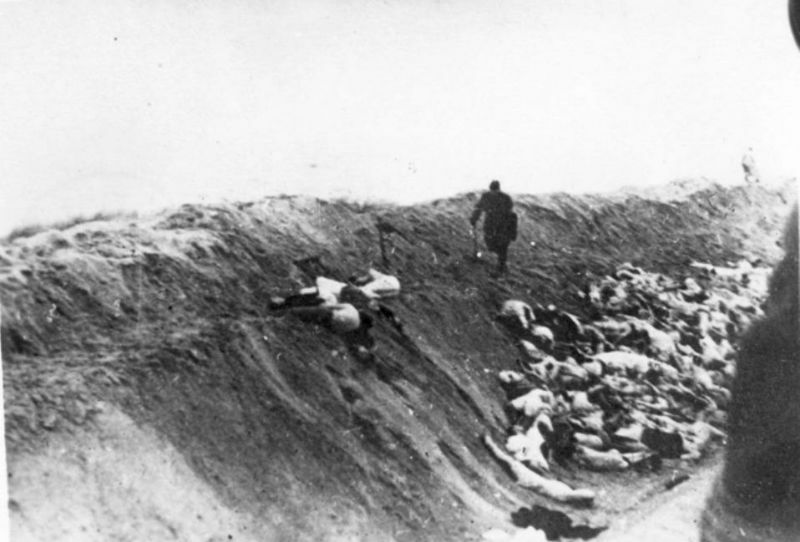 A Latvian policeman known as a 'kicker' walks along the edge of a mass grave filled with the bodies of women and children who had just been shot, December 15-17, 1941. It was the kicker's job to push in the bodies that did not fall into the mass grave during the shooting. 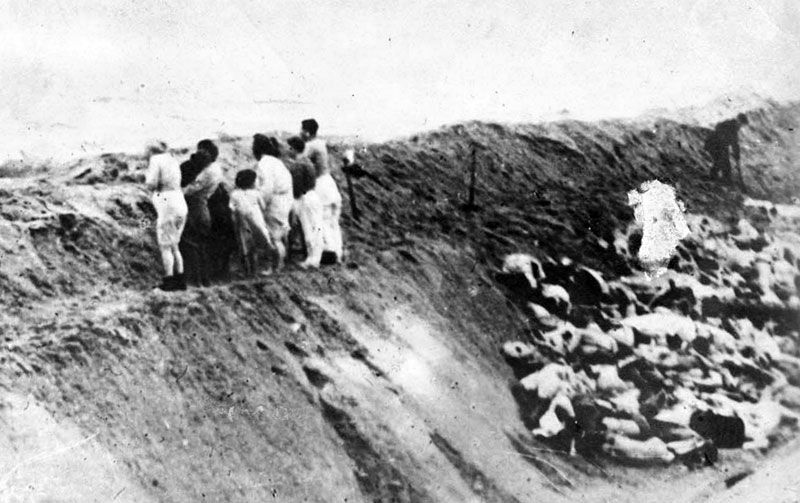 Members of a SS Einsatzgruppe (Special Task Forces) are forcing Jews to undress for execution. 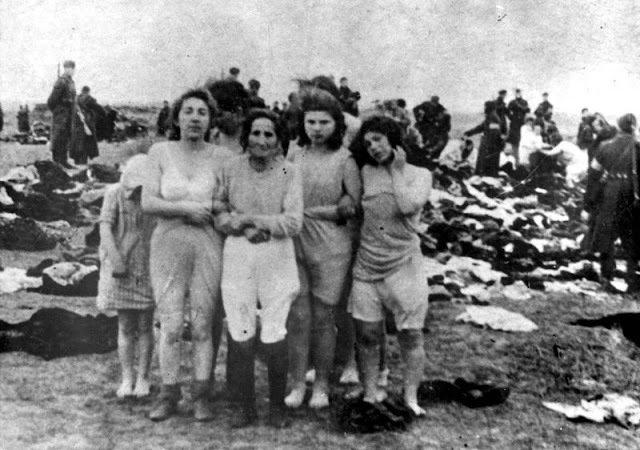 Jewish women were forced to strip off their clothes. A Latvian guard leads Jewish women to the execution site, on the beach at Libau, Latvia.